Please join us for a FREE documentary screening of Food As Medicine followed by a discussion with Dr. Julie Briley from the Food as Medicine Institute. “Food As Medicine” is a This As That Production film production featuring NUNM which follows the growing movement of using food to heal chronic illness and disease. 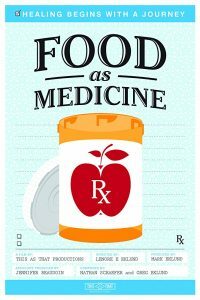 Food As Medicine documents the journey of food, health, community and hope. Study Nutrition at National University of Natural Medicine (NUNM).